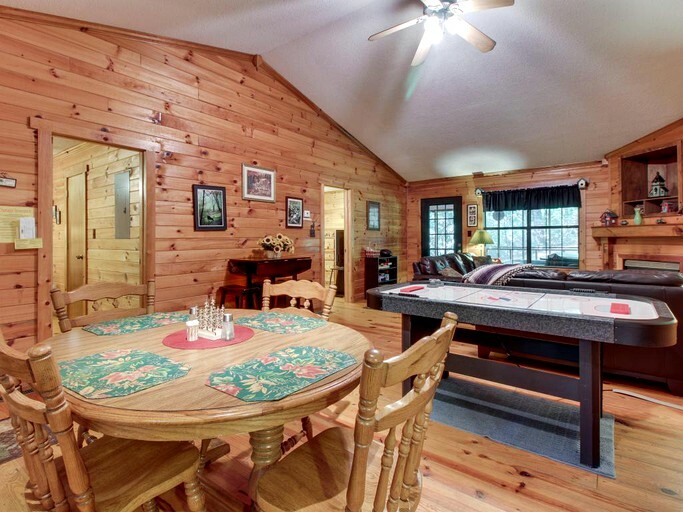 Loved the cabin with it’s quiet and peacefulness to its self. 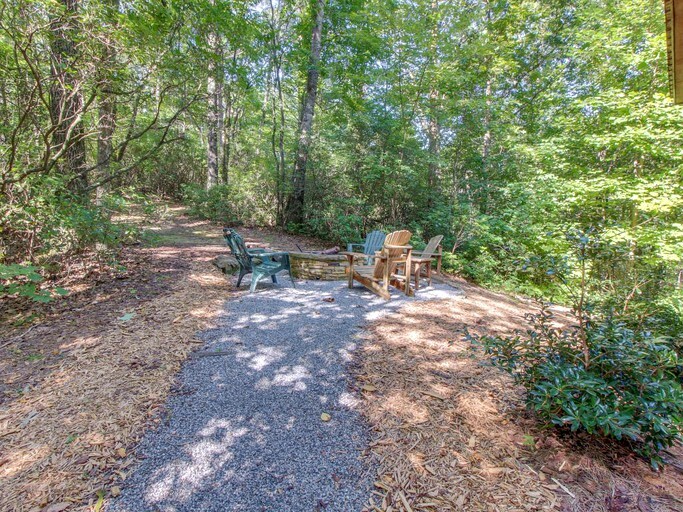 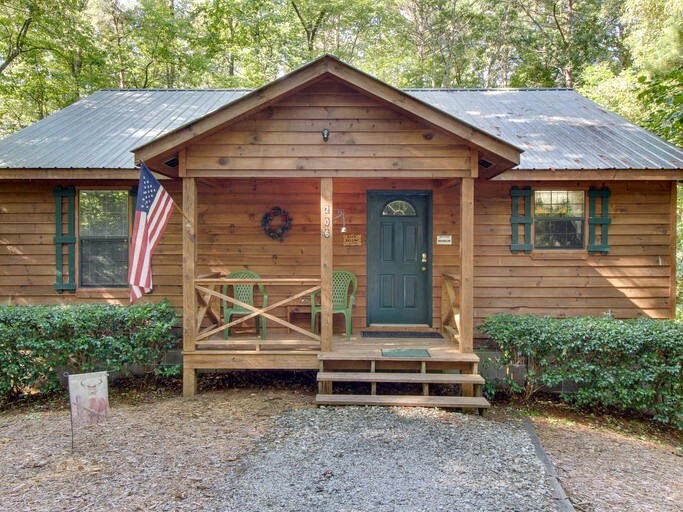 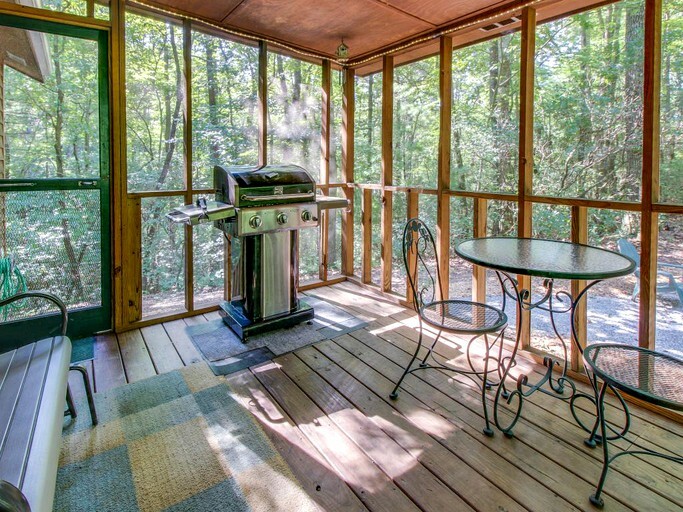 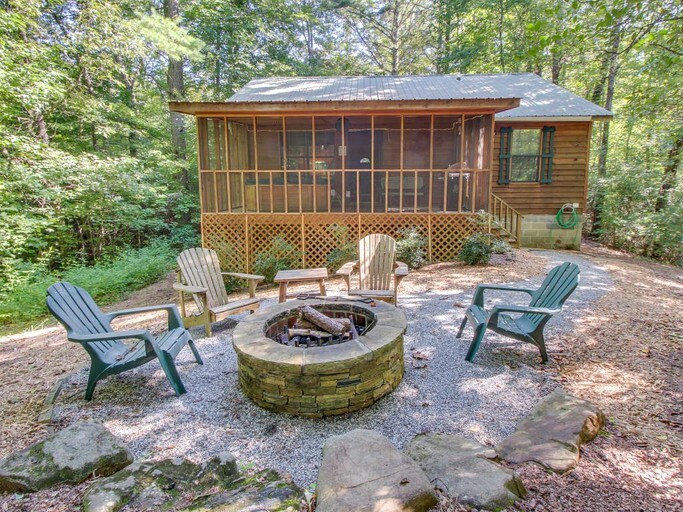 Sleeping up to six guests, this secluded family-friendly cabin near Helen, Georgia, boasts two bedrooms, two full bathrooms, and all of the modern amenities to get away from life’s hustle and bustle in style. 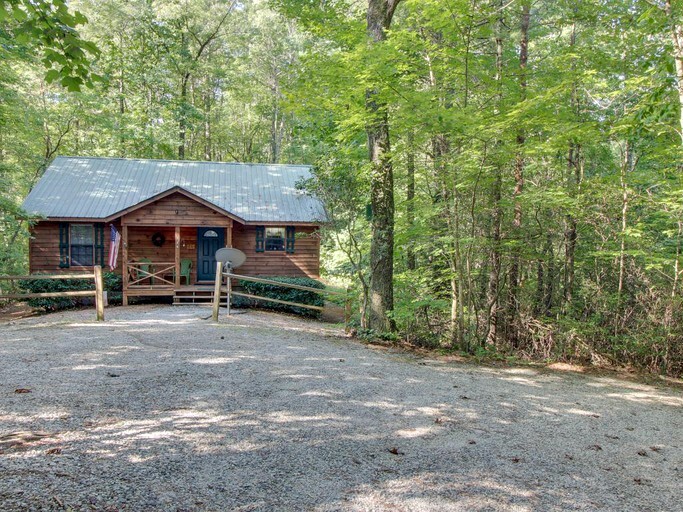 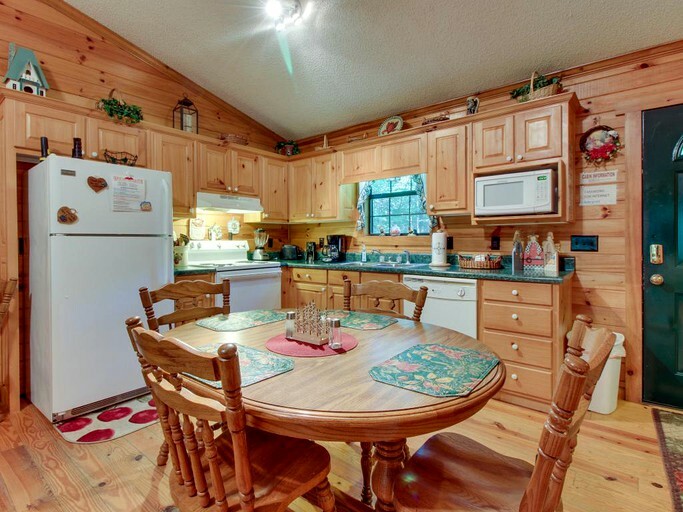 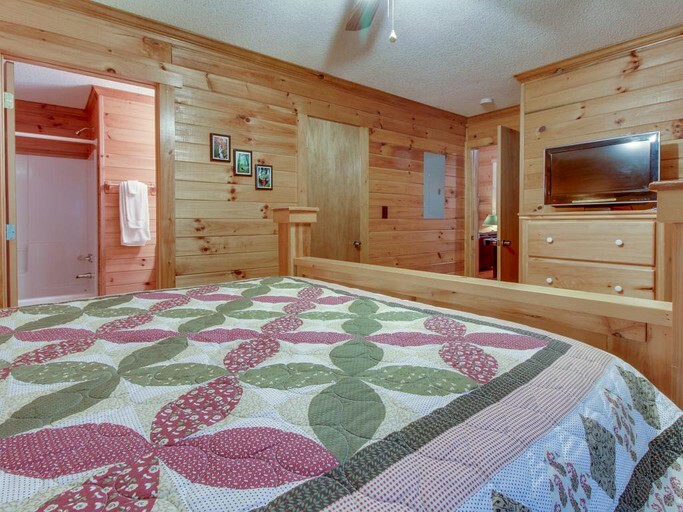 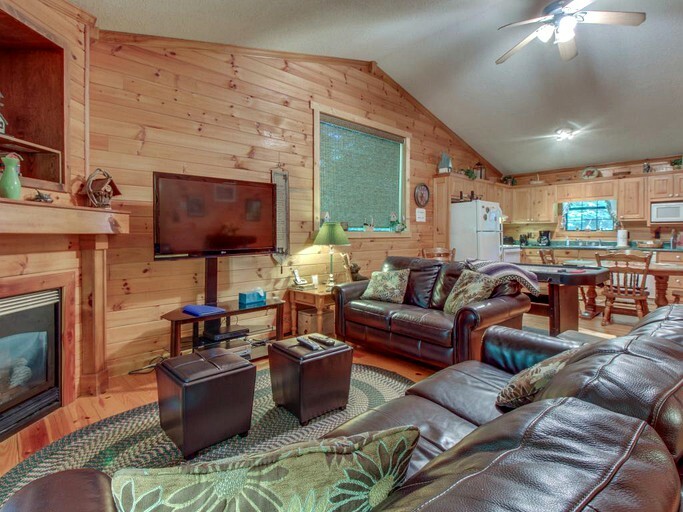 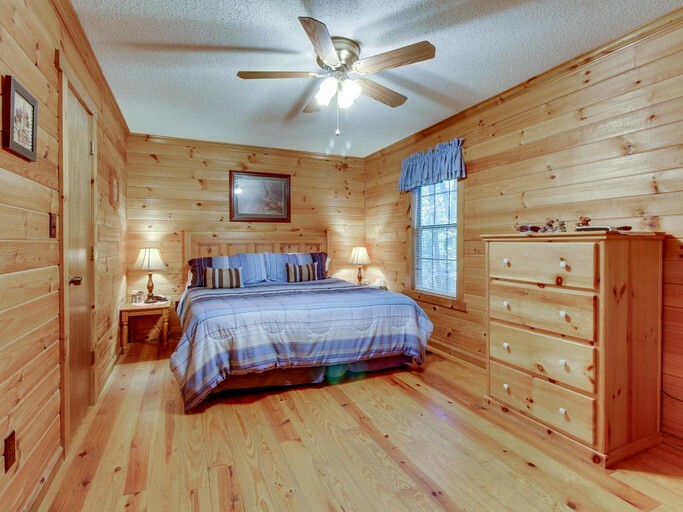 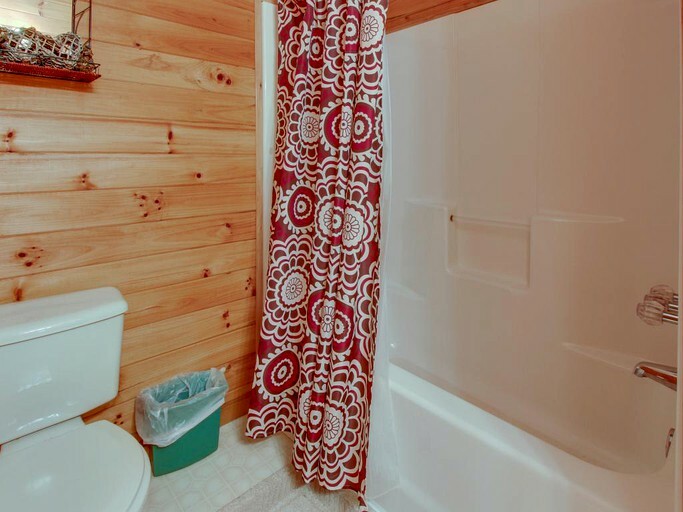 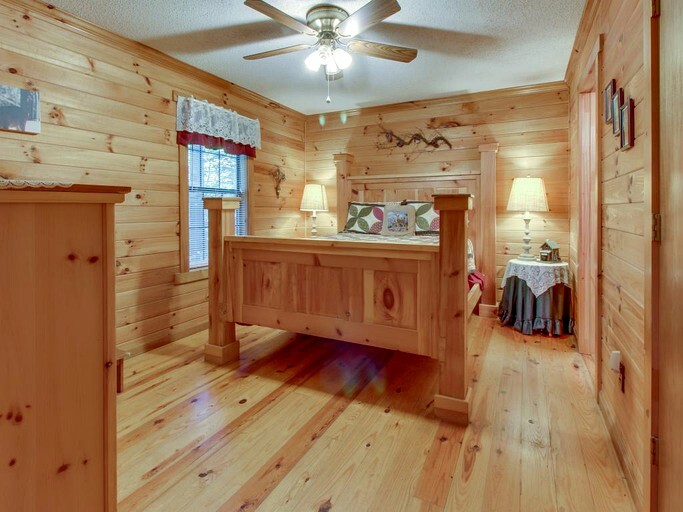 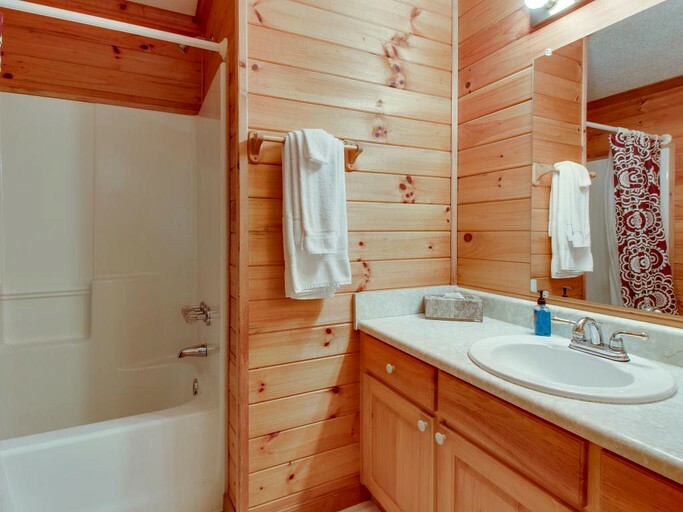 With lovely wooden paneling and hardwood floors throughout, this cabin rental reflects the natural beauty of its surroundings in the Appalachian Mountains. 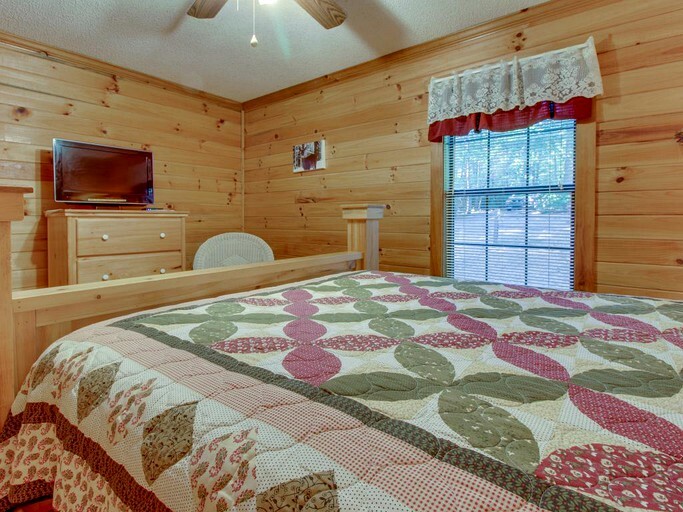 One bedroom features a king-size bed, while the other has a queen-size bed. 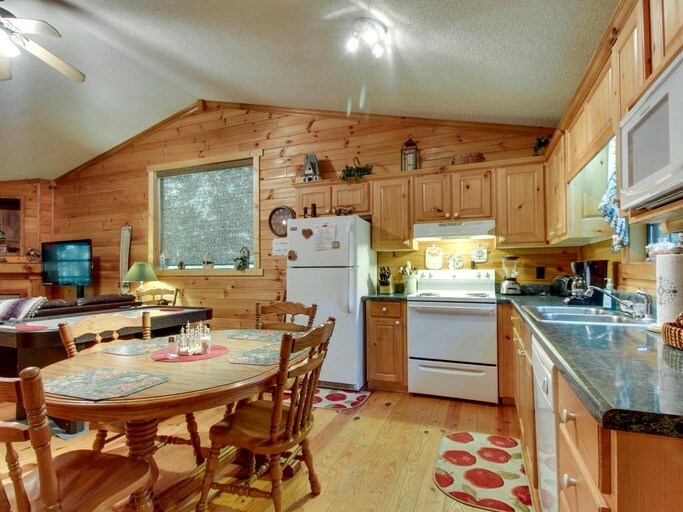 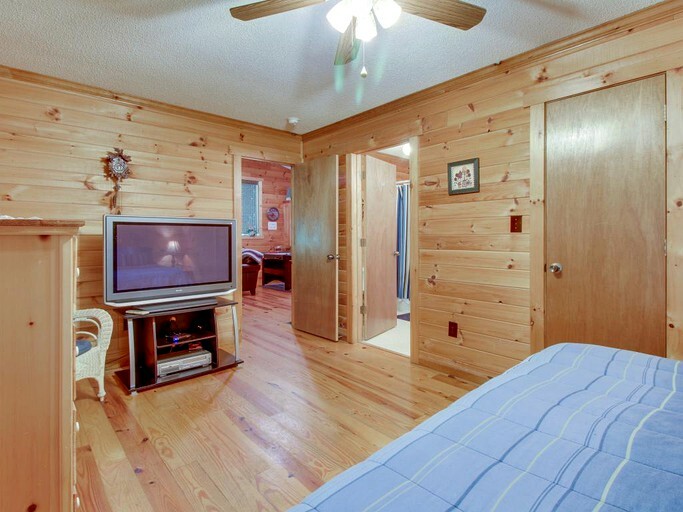 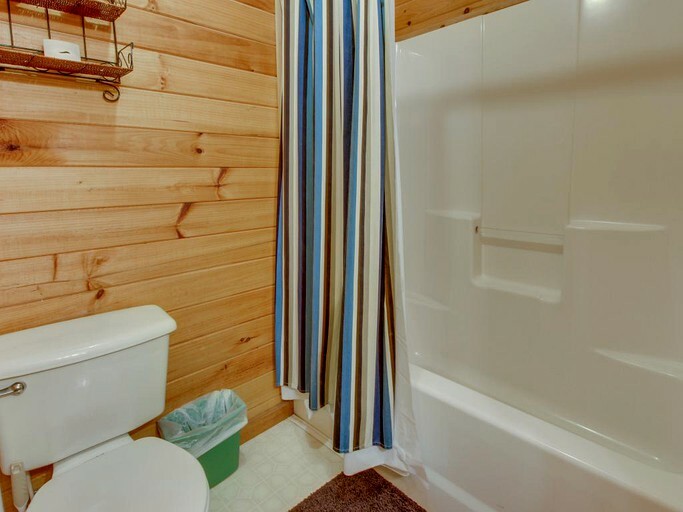 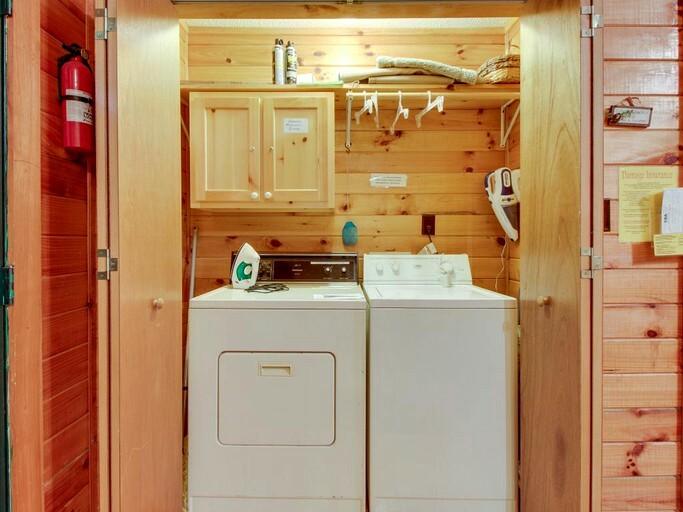 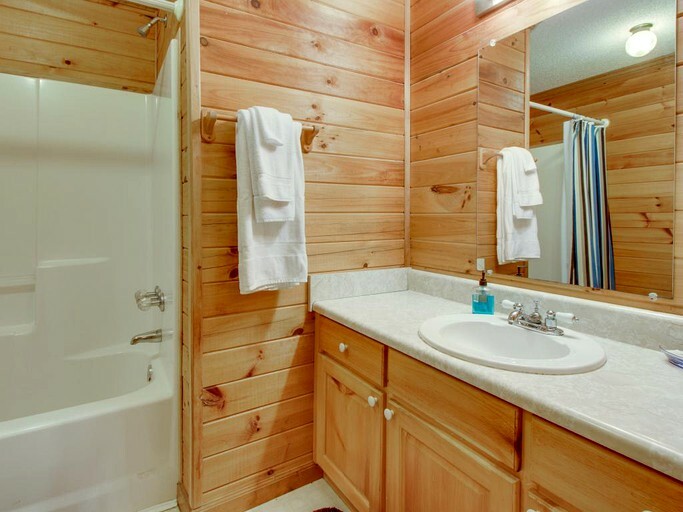 Both offer a flat-screen television, a ceiling fan, and an ensuite bathroom with a shower/tub combo. 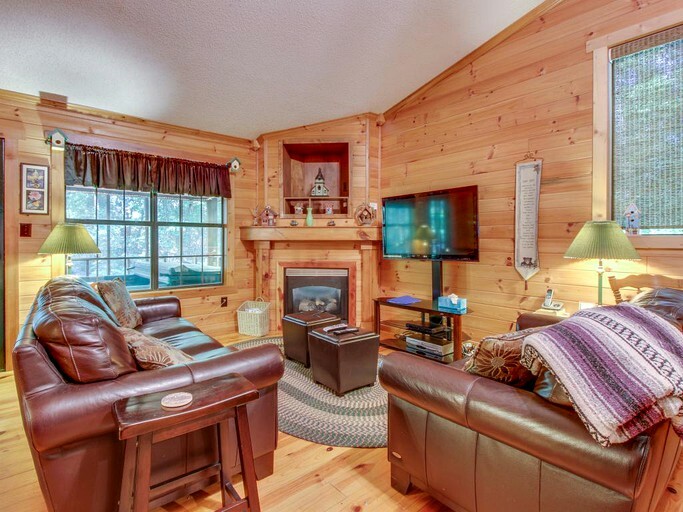 In the open concept great room, guests can cozy up to the wood-burning fireplace, sink into the plush leather sofas, challenge friends to a game of air hockey, whip up delicious meals in the fully equipped kitchen, and gather around the dining table. 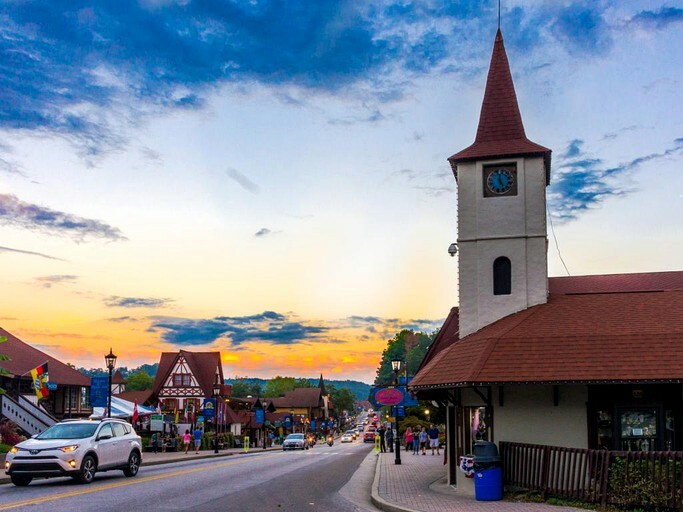 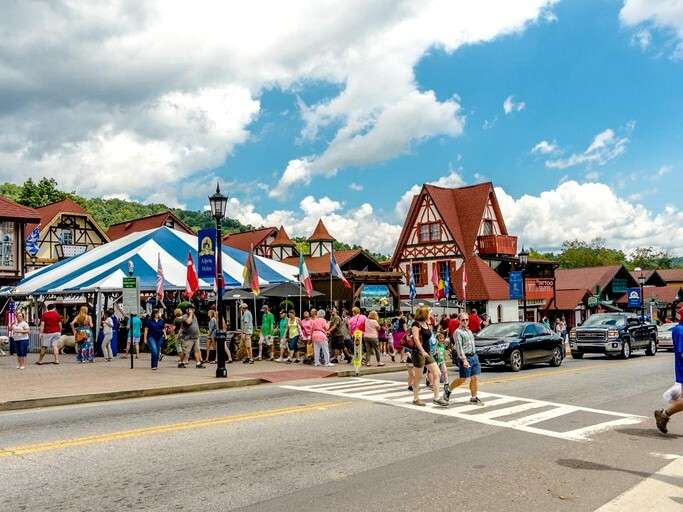 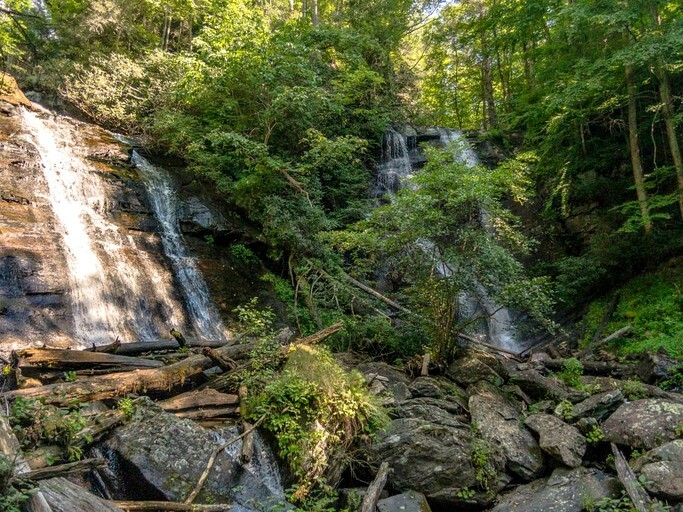 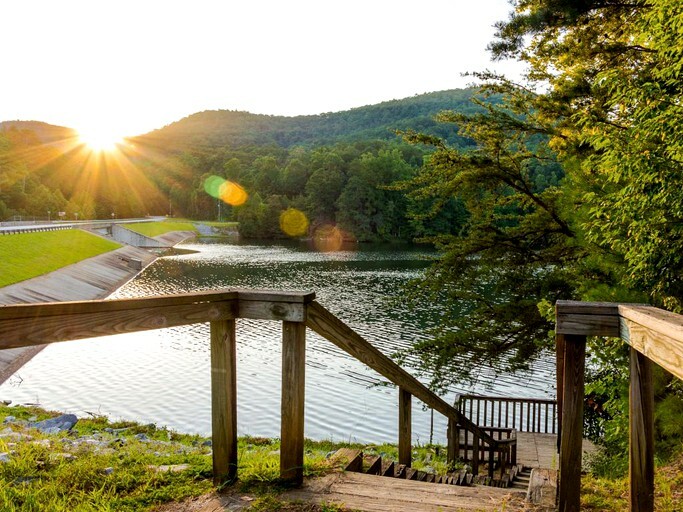 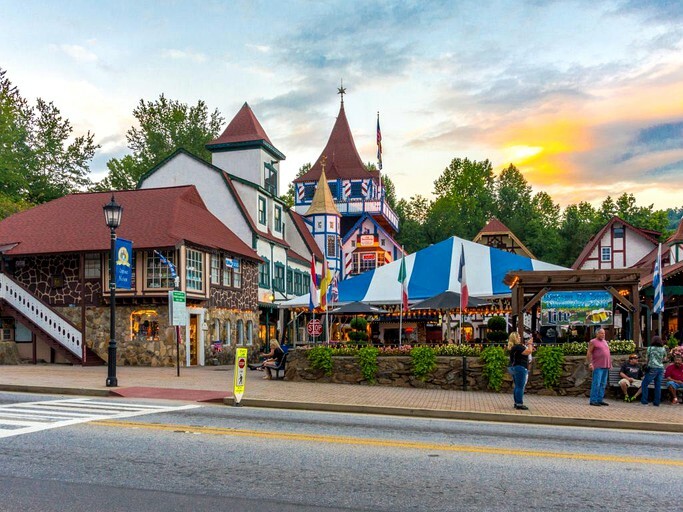 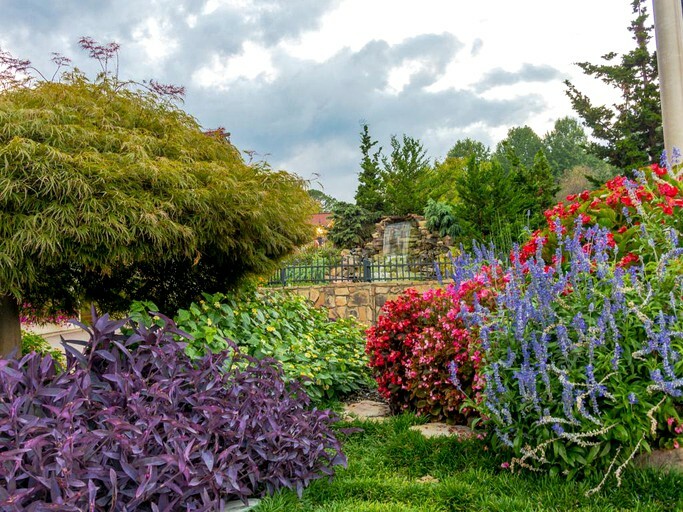 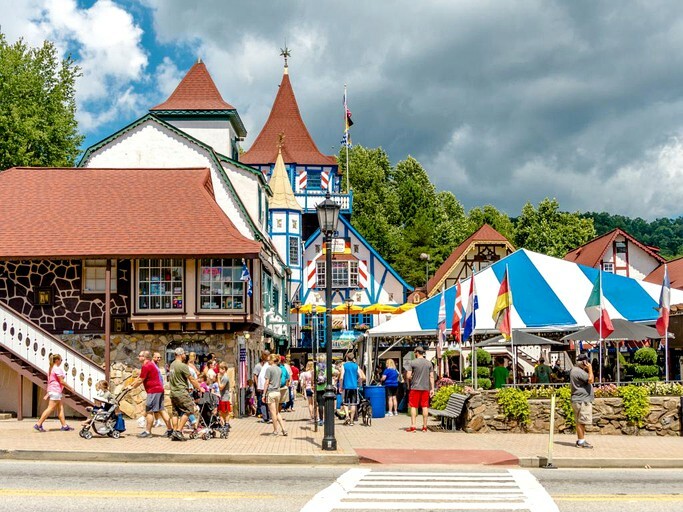 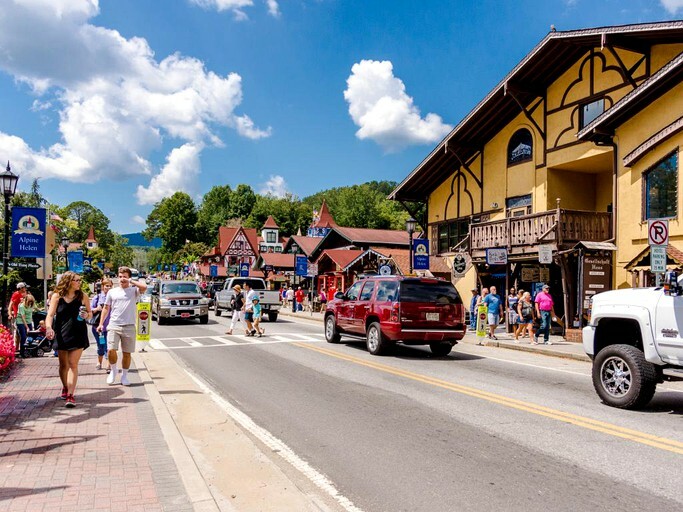 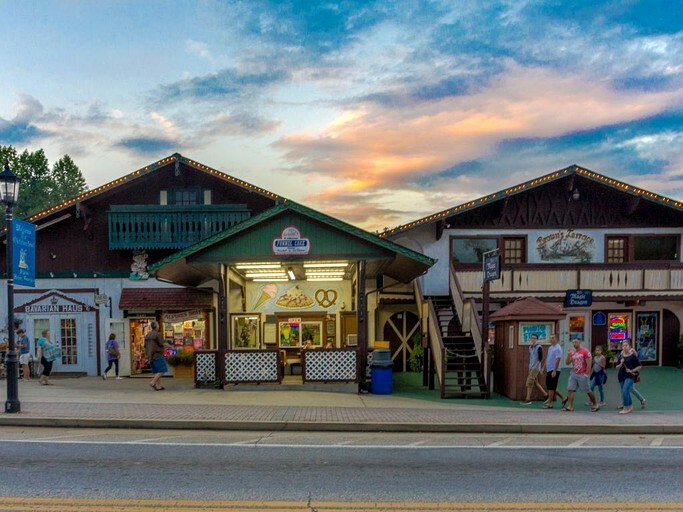 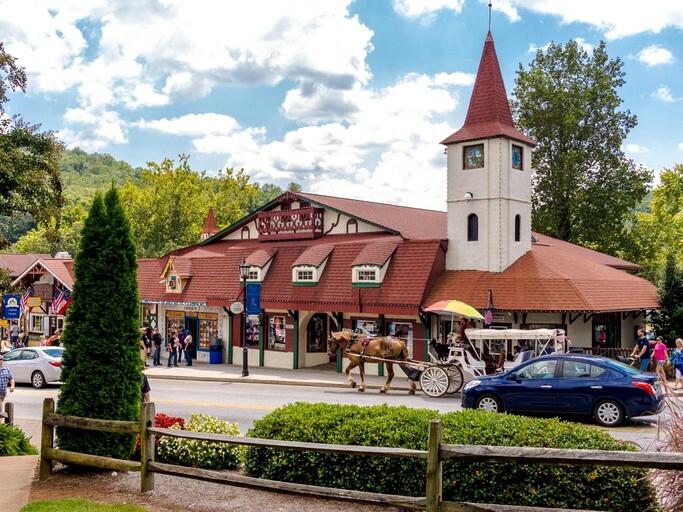 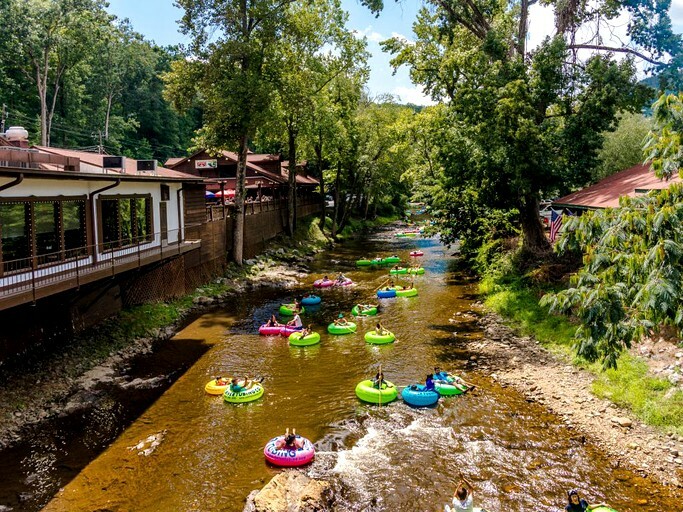 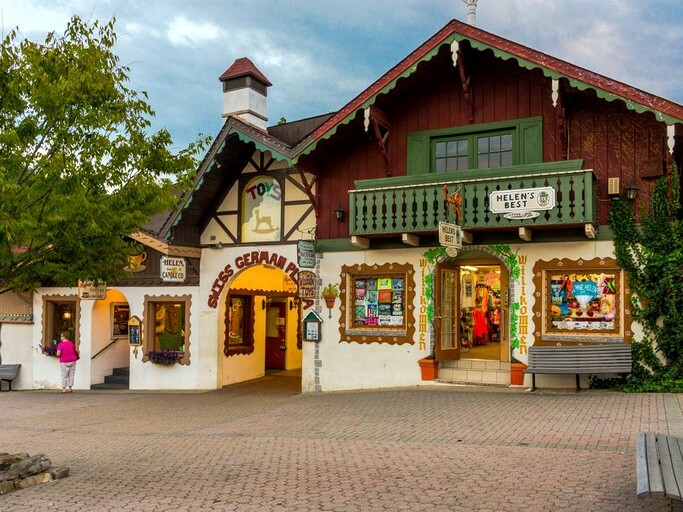 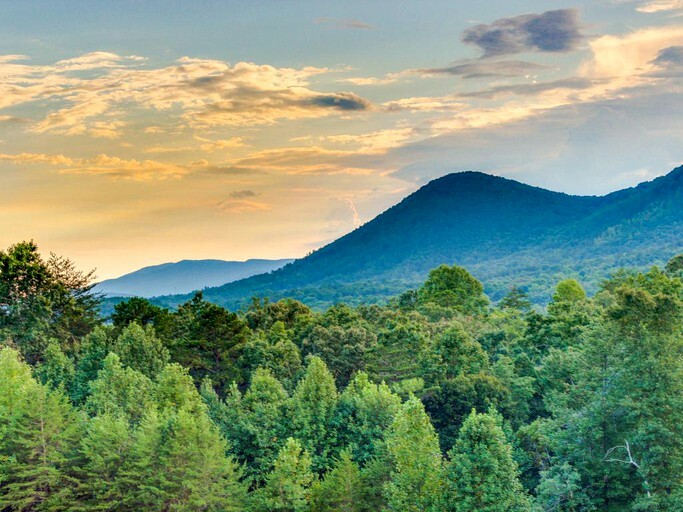 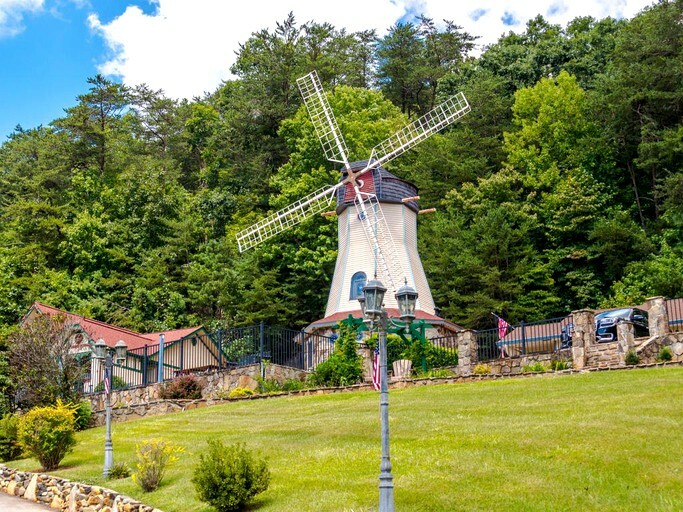 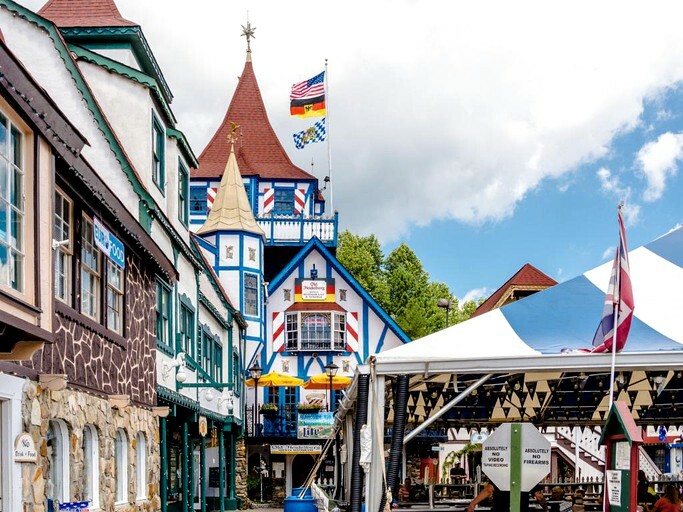 Although tucked away in the Georgia mountains, guests can still enjoy modern amenities such as an internet connection, flat-screen televisions with cable, a washer and dryer, and an outdoor barbecue grill. 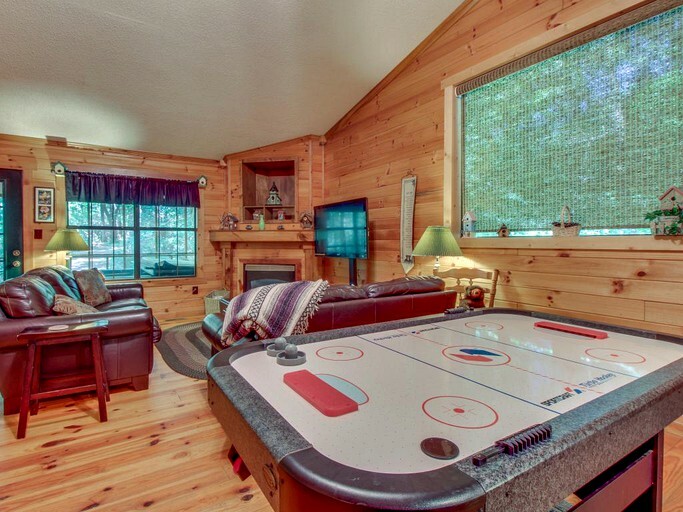 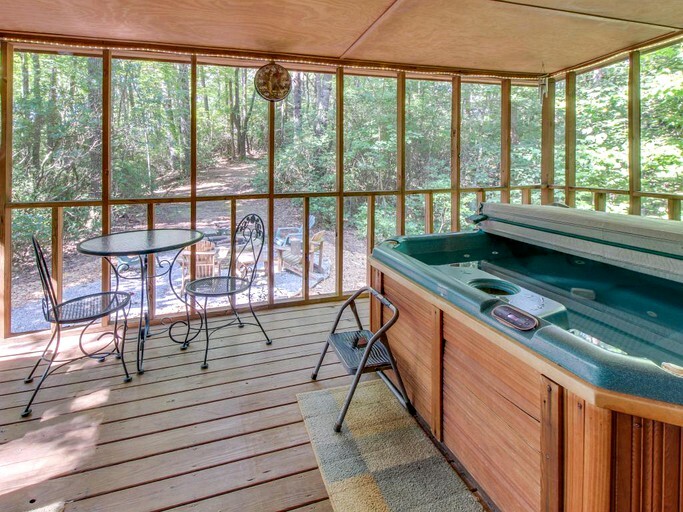 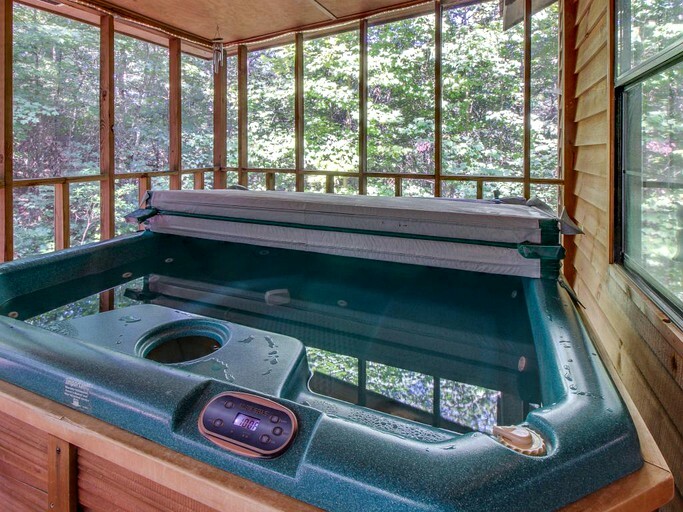 Additionally, an air hockey table, a luxury hot tub, and an outdoor fire pit make this a fun, family-friendly getaway. 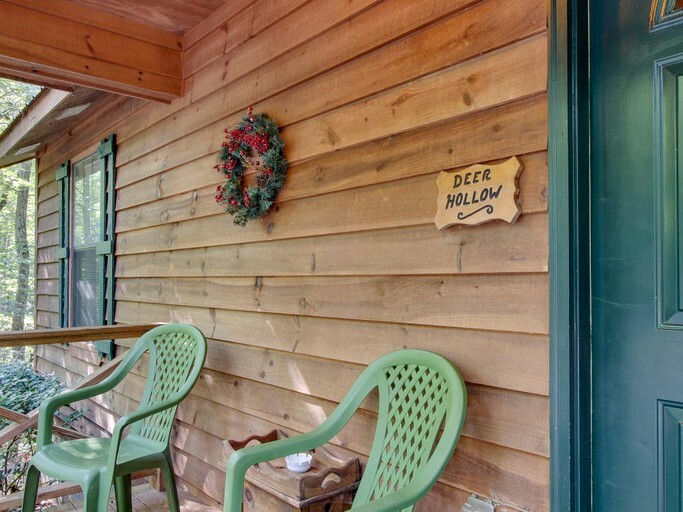 Guests can bring up to three dogs along for a small nightly fee.